Finding a new international freight forwarder to handle your shipping needs can seem like a stressful job. They will be a partner for your business and choosing one that is right for your company is important to keep your flow of goods moving through the supply chain. You can start with a search online, but be sure to have regular direct contact with them before signing any contracts. So what do you look for in a good freight forwarder for your business? There are several different types of freight forwarders including both large and small companies and some will tend to specialize in certain commodities though they may not divulge that information. Ask as many questions as you can since you will want them to have some knowledge of your commodity. 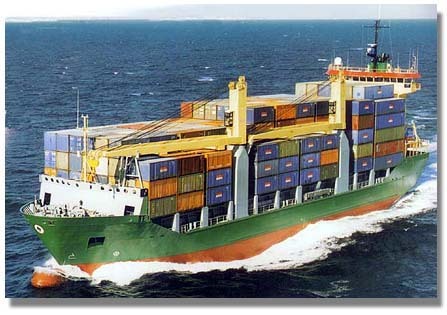 If you have regular weekly shipments, you will want your forwarder to have service contracts with various carriers. They may have better freight rates as a result as well. This may not be important if you have a smaller company and are shipping less frequently. Another key issue in handling your international logistics will be their level of customer service. Is the sales manager already late to meetings or is the rep ignoring your calls before you even signed on with them? This is a red flag that you may not get the service you need when moving your shipments. While you may love their website and their international shipping rates, if they are not available now they may not be available when you have a problem. Ask for references. If they are a stable company that is looking for long term clients, they will be able to provide you with references that include satisfied customers. Finding a good freight forwarder for your company can take a little work, but the right partner can greatly benefit your company. Take your time and do not be afraid to be picky. It will be worth it in the end.